Cambridge will next month become home to the first of the second wave of local TV channels being launched across the country. Ofcom has published details of the local TV licence it awarded to Cambridge Presents late last month, which will launch under the name Cambridge TV on Freeview channel 8 and Virgin Media channel 159 in August. Cambridge Presents was originally announced as the winner of the Cambridge local TV licence in October 2013, but the latest Ofcom paperwork now confirms that licence award and that the station will be able to go live on Tuesday 18th August 2015. The station thereby becomes the first in the second stage of local TV rollout. Since November 2013, local TV stations in the first stage, starting with Grimsby-based Estuary TV have been launching on Freeview. Of the stations in the first phase, only the Blackpool and Preston local TV service is yet to launch. Earlier this year, local TV multiplex operator Comux was given permission by Ofcom to extend coverage of the Cambridge local TV service so that more viewers would be able to tune in on Freeview from August. 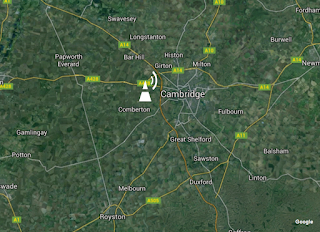 Cambridge TV will broadcast from the Madingley transmitter, which is situation between Cambridge and the region's main Freeview transmitter site at Sandy Heath in Bedfordshire. 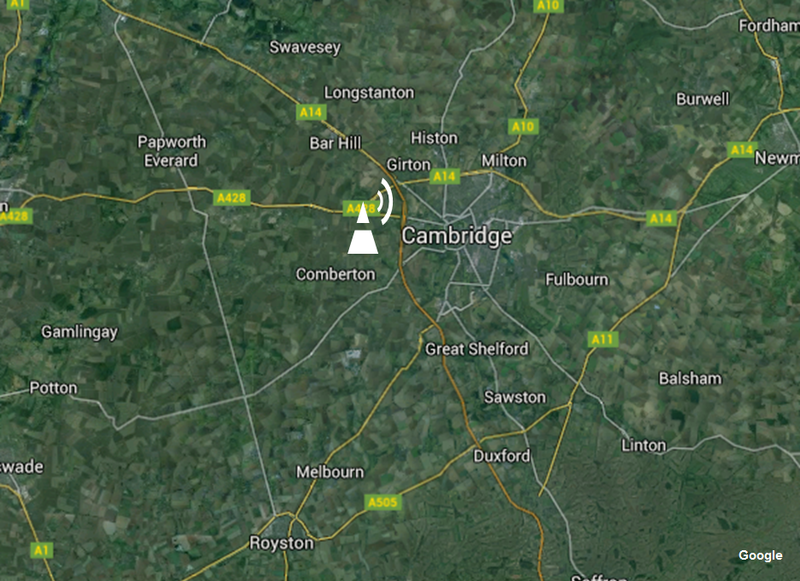 Ofcom's Broadcast Licensing Committee noted that the projected coverage would increase from 83,000 households in the original projection to 95,000 households, with more viewers around the outskirts of Cambridge now set to be included in the reception area when the service launches. Ahead of its launch, Cambridge TV has set up an online presence with a selection of content ahead of its launch on linear TV. Under the terms of its broadcast licence, the channel is obligated to provide up to 7 hours of news and current affairs to the citizens of Cambridge and surrounding towns. In addition to Cambridge TV, the arrival of local TV will also make children's channel POP and shopping channel QVC Extra available on Freeview in the local area, in a deal which sees surplus capacity on the local TV multiplex sold to commercial operators to help fund the costs of the infrastructure underpinning the local TV network. The channels are also available to viewers living in the coverage area with a YouView or BT Vision box.